If you want to look super-glam and sleek at the same time, look to the hairstyle Sin City most loved protagonists Jaime King recently sported. To make an appearance at the MCM Las Vegas store opening she opted for what can be called an easy-to-style side-swept hairstyle, which requires only a few bobby pins and a lot of hair gel to achieve the sleek wet-effect on the crown. Such a hairdo enhances anyone’s facial features, so you could combine it with a pair of dangling earrings or a plunging neckline. Who says ponytails are outdated? Not only did Rosie Huntington-Whitely wear	a low ponytail flawlessly, but she also slicked her hair down into a center-parted ‘do that put the entire focus on her gorgeous facial features and pretty makeup. It doesn’t necessarily require a lot of hair gel, although it will definitely help your hair stay in place throughout the day. It is a highly sophisticated party hairdo, meant to be worn during elegant gatherings. 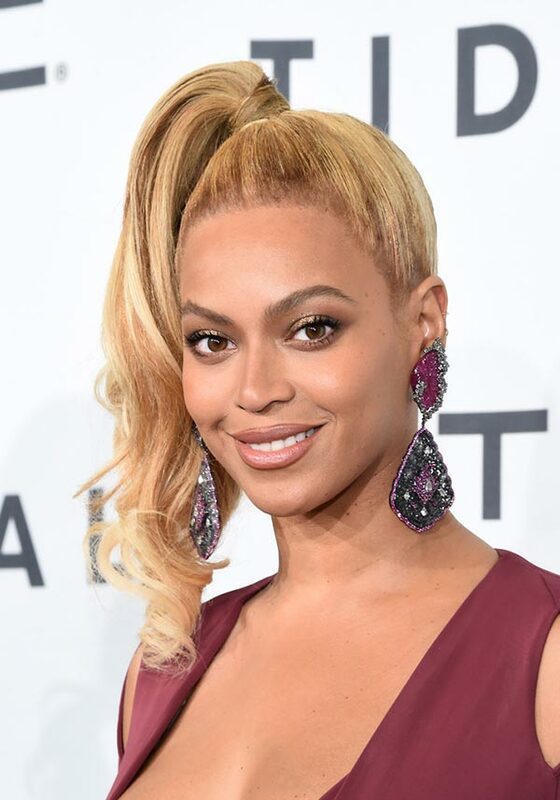 Those in love with the Eighties are welcome to emulate Beyonce Knowles’ look featuring a super-high side ponytail spiced up with sleek finishes added on the crown. It is also the perfect bad-hair-day hairstyle, and could literally save your night out if you are in a hurry and do not have time to wash your hair. To channel ’80s at the holiday parties, match the hairstyle with a pair of big hoop or dangling earrings, just like Beyonce has done here. If you have a bright fuchsia or pink lipstick, it is high time to show it off! Victoria’s Secret model Gigi Hadid often prefers natural beauty looks with casual hairstyles to more elaborate ones. However, that doesn’t mean her red-carpet looks lack inspiring ideas. Just look at this messy ponytail: it is an epitome of the casual-chic style. Gigi’s casual high ponytail is one of those lovely holiday party hairstyles perfect for women, who aren’t that skilled when it comes to hair styling and neither have time to visit a beauty salon. 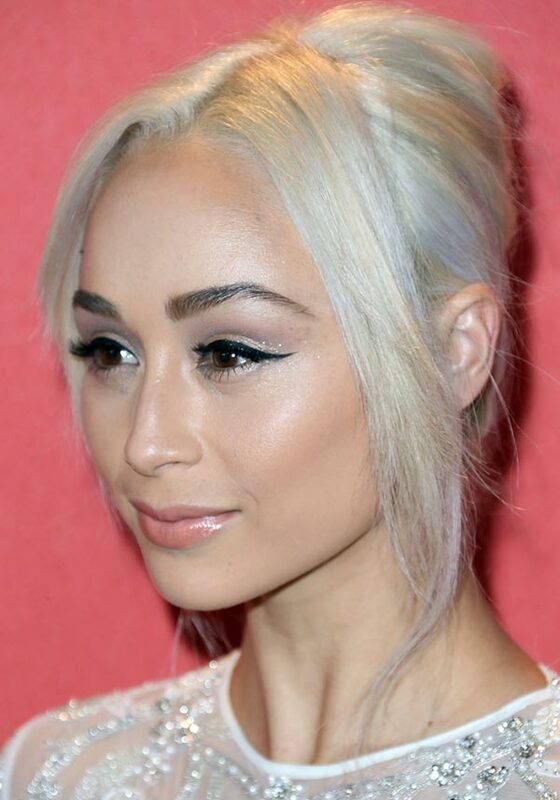 If you are trying to create the perfect ’90s look, actress Cara Santana may give you a hand. 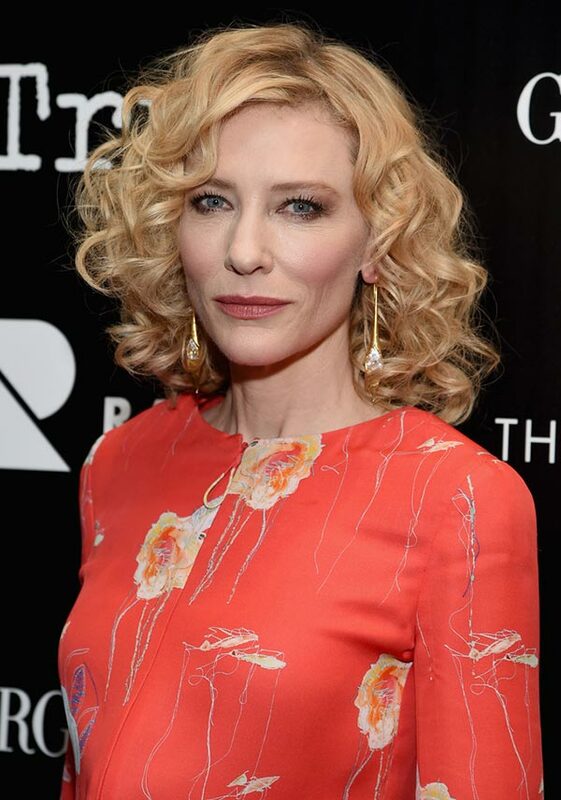 Just look at the lovely French twist with face-framing center-parted strands of bangs she wore at the Screen Actors Guild Foundation 30th anniversary Celebration on November 5, in Beverly Hills! It is basically meant for any 90s-themed party.